WHITE LOTUS RESTAURANT AND BAR - Chiangmai. Featuring the best cheeseburgers, cold draft beer and pub darts in Chiangmai. 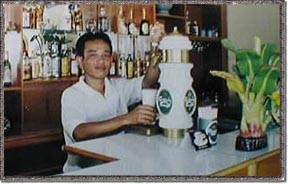 Welcome to the White Lotus Restaurant and Bar - Chiangmai. 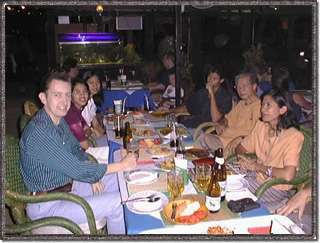 Featuring Thai and International cuisine in the relaxing atmosphere of a covered patio. The White Lotus Restaurant & Bar was conceived in the desire to have a Chiangmai meeting place for our friends from all over the world. 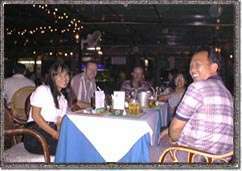 Our clientele is largely locals, expatriates, and frequent travellers to Chiangmai. 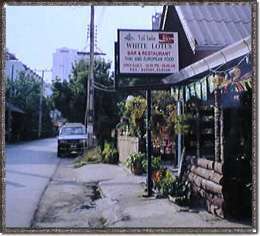 However, whether you live in the city or just visiting for the first time, you are always welcome at White Lotus. Our staff is dedicated to ensuring that Chiangmai and the White Lotus are among the most memorable places you have visited. We serve a unique blend of Thai and International cuisine accompanied by a complete beverage list to compliment your meal. While Thai cooking is our specialty, our International menu includes fine steaks, delectable pork chops, savory spaghetti and the best cheeseburger in Chiangmai. One of our Canadian friends exclaimed, "I can't believe it, a real cheeseburger." A traveller from Kansas, America, "This is just damn good food." 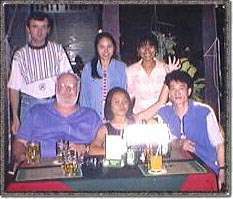 An Australian couple, "We only eat here three times a day when we are in Chiangmai." 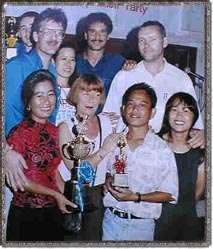 When we joined the Chiangmai Pub Dart League a while back, they were concerned that we might not be able to field a team on a weekly basis. Today, our dart team (shown at right) is among the most competitive in Chiangmai. In fact the picture shows the 1st Place and individual trophies won by team members during the 1998 Spring Competition. Join us whether you are dining in, meeting friends or looking for a good game of darts! We are easily found - about two blocks East of the Night Bazaar on the corner of Loi Kroi and Chareon Prathet Roads.